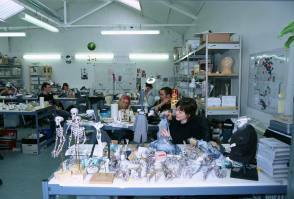 This photo was taken while making the film Corpse Bride (2005). It is a British-American stop-motion-animated fantasy film directed by Mike Johnson and Tim Burton. The plot is set in a fictional Victorian era village in Europe. 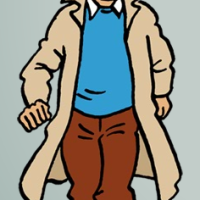 Johnny Depp led an all-star cast as the voice of Victor, while Helena Bonham Carter voiced Emily, the title character. 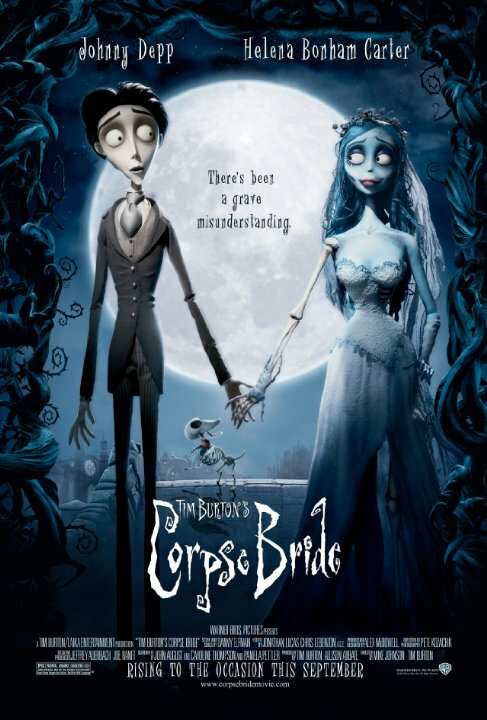 Corpse Bride is the third stop-motion feature film produced by Burton and the first directed by him. 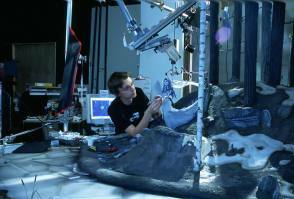 The director Mike Johnson can be seen in this picture.